Every patient has different needs and preferences, which is why there’s no perfect sleep apnea treatment solution that fits everyone to a tee. In some cases, oral appliance therapy may be enough to help you enjoy sleep of a higher quality; in others, CPAP therapy creates the results you’re looking for. There’s also a third option available with Dr. Jeff Rodgers: combination therapy. By providing patients with the best aspects of both oral appliance and CPAP therapy, patients can achieve better rest, better health, and a better quality of life overall. Contact our Dunwoody practice today to schedule your first consultation! Continuous positive airway pressure (more commonly known as CPAP) is a machine that relies on the use of a facial mask to constantly force air into the lungs of patients, keeping their breathing steady as they sleep soundly. CPAP has been used for many years with good levels of success, but there’s one significant problem – intolerance. Many people simply can’t handle using their CPAP on a regular basis because of the discomfort involved, as well as the jarring sounds and sensations involved. Because of this, they forgo treatment entirely, which puts them in danger. Oral appliance therapy is strongly recommended by both the American Academy of Sleep Medicine (AASM) and the American Academy of Dental Sleep Medicine (AADSM) to be the first line of defense against snoring and sleep apnea. If your symptoms are of a mild to moderate nature, or if you’ve experienced intolerance to CPAP treatment in the past, a custom oral appliance can provide the relief and peaceful night of sleep you need in a much more comfortable and convenient fashion. By slightly shifting the jaw and holding the patient’s airway open, breathing becomes unhindered. Plus, the device is easy to remove from the mouth, easy to clean, and easy to transport when traveling or on vacation. However, some patients with severe cases of sleep apnea just can’t achieve the results they need with oral appliance therapy alone. By combining CPAP therapy and oral appliance therapy, our team is able to help many sleep apnea patients achieve the ideal results they need. The techniques work in unison, creating a more comfortable experience overall. 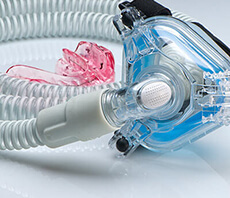 Without an oral appliance, patients would have to use their CPAP at the highest setting possible to achieve similar results, which can increase discomfort, dry mouth, headaches, and general non-compliance. Combined therapy allows for the CPAP to be set to a lower, easier setting that limits the noise involved, all while the patient enjoys the same great improvements in their condition. Plus, because they have an oral appliance available, patients can rely on it solely when traveling and avoid any dangerous gaps in treatment. Should you consider combined therapy? Improved Comfort – By being able to wear a smaller nasal mask instead of the bulkier full-face mask, patients undergoing combined therapy can stay more comfortable at night. The oral appliance will do its part to keep the airway unblocked and allow the air pressure from the CPAP to flow in, creating effective results. Increased Compliance – With less distracting noise and improved comfort overall, patients are much more likely to stick with combined therapy each night. Consistently and dedication to sleep apnea treatment is the only real way to actually reverse any damaging effects you’ve experienced and maintain an excellent routine sleep schedule. More Effectiveness –Studies conducted by the AADSM show that combined therapy reduces both the number of apnea events (pauses in breathing that last 10 or more seconds) and hypopnea events (breathing that is excessively shallow), as well as feelings of exhaustion or fatigue throughout the day for patients. Groups tested saw an average of 6.6 apnea and hypopnea events each hour when they weren’t undergoing any treatment; this number was reduced to 4.4 when relying on a CPAP and then further reduced to 2.6 when using combined therapy. On the Epworth Sleepiness Scale, patients scored an average of 12 when they weren’t receiving any sleep apnea treatment, an average of 9 when they were using oral appliance therapy, and an average of 7 when using combined therapy. The results all point towards the same encouraging conclusion – combined therapy takes the great results of CPAP treatment and oral appliance therapy and maximizes them to even better levels! Great Convenience – When traveling, many patients have to leave their CPAP gear at home because of its bulkiness. The system also requires the use of distilled water, which can’t be brought on a plane. When relying on combined therapy, patients can still achieve some relief from sleep apnea symptoms with their oral appliance, which is much more portable. Have you tried CPAP therapy and are unhappy with the results? Have you tried oral appliance therapy and haven’t achieved any noticeable improvement in the quality of your sleep? Combined therapy from Dr. Rodgers and his team here in Dunwoody could be right for you. Please contact us today if you have any questions, or if you’re ready to schedule a consultation. 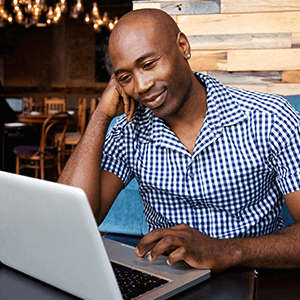 During this appointment, we’ll review any past results from sleep tests, any past attempted treatments, and other important diagnostic information in order to determine whether or not combined therapy is the best answer to your dilemma. We look forward to helping you achieve a great full night of rest at last!